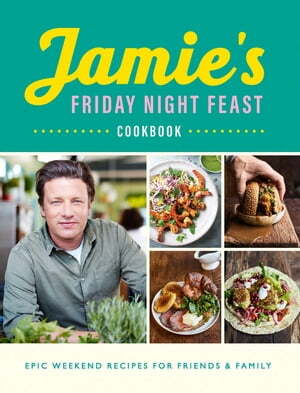 Collins Booksellers - Jamie’s Friday Night Feast Cookbook by Jamie Oliver, 9781405939706. Buy this book online. Discover super-indulgent, show-stopping food for the weekend with Jamie Oliver, featuring the very best recipes from the hugely popular Channel 4 TV series Friday Night Feast - back on our screens this December! With behind-the-scenes action shots of the famous café on Southend pier, Jamie is beside the seaside, cooking and eating fantastic food, along with his celebrity guests. With oodles of fun, fresh feasts for all your family and friends, JAMIE'S FRIDAY NIGHT FEAST COOKBOOK makes the perfect indulgent treat to kick off your weekend. Order it now and start cooking like the stars!